This is edge trim that install between the car door and the car body (in the metal edge for the car body) . 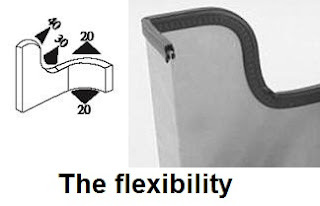 all details about the install place, dimensions, and flexibility is clarified in the pictures . 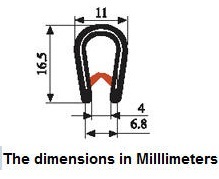 You can select the appropriate Edge Trim for your vehicle by the dimensions . 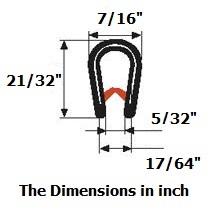 you can compare this edging trim dimensions and your old trim edge dimensions . Grip range : 1 - 4 M.M . Materials : PVC / METAL . Order code : D008 . - in the metal edge for the car body between the car door and car body . - in the external edge for the car door and more . - in the bus windows . - in the above window for cars . - Boat Window Trim Vinyl . - Window edging trim for Mini bus . - trim seal for caravan . - Weatherstripping for campers . - pvc seal for motor lid . - door seal for heavy equipment . - Trailer door seals . - Sealing product for metal boxes . - edging trim for metal sheet . - PVC stripe for the electric boards . 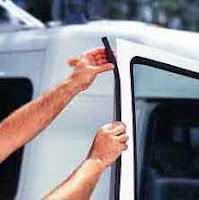 - Car door seal trim . - weatherstripping for home doors . - contain internal metal clips to grip permanent around the install place . will be griping around the edge without adhesive or any other thing ) . 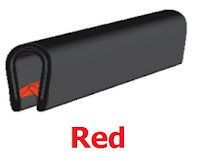 - Protect the external car door edge from the clash on the walls or other cars .